We've been busy preparing for several exhibitions. One we are really excited to be involved in is ART FOR COUNTRY, which is an art sale and auction in aid of The Indigenous Literacy Foundation. As we've been involved in some programs with indigenous communities over the last few years, we know that the work of ILF is valuable that supporting this event is a way of being able to do something about an issue we feel passionate about. 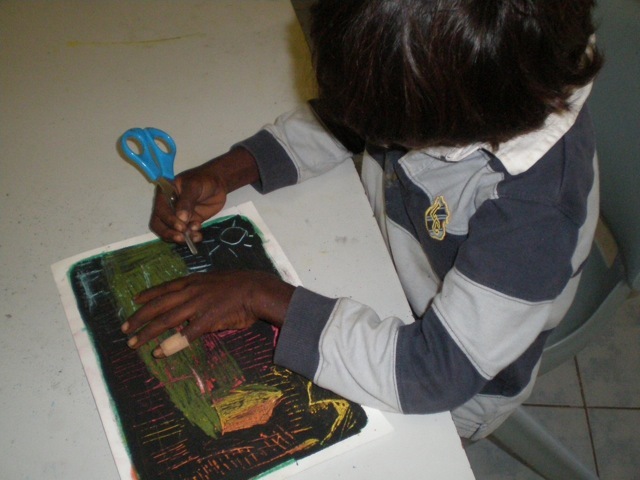 The art is wonderful -There are giclee prints of beautiful pictures made by children in remote communities during workshops with Alison Lester and Liz Honey, Ros Price, Jess and Ann. 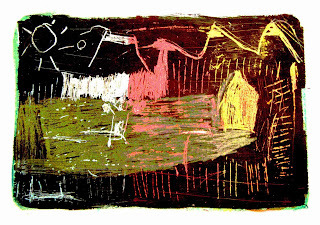 There are other works by professional indigenous artists too, donated from all over. Illustrator and painter, Pat Torres from Broome has donated three of her very strong works including an illustration from the classic picture book written by Daisy Utemorrah, Do Not Go Round the Edges. If you can't make it to the event, the catalogue of works is on the ILF website - and plenty are for sale there - not part of the auction - including the kid's paintings! Children's Book people are a creative bunch!